The worst moment of my business career happened on August 8, 2006. 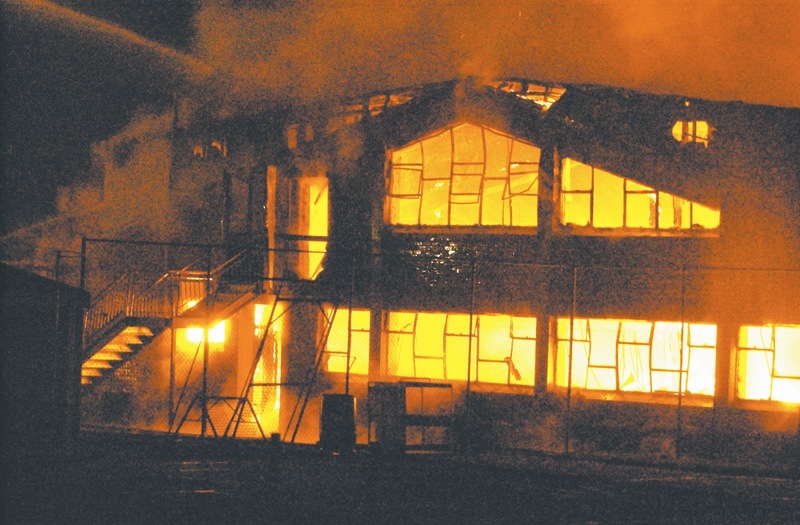 In the space of 30 minutes, our Alsco NZ laundry factory was destroyed by fire. At the time, we had 1500 customers, including the main hospital in our town. We also employed 100 staff. I didn’t get much sleep from that Wednesday night onwards for several weeks. On the Friday morning, my Rotary Club of Invercargill Sunrise was meeting for our usual breakfast. Despite my tiredness, I decided to go as a bit of normality seemed to be a good idea. When I arrived, several Rotarians gave me a hug and spoke encouraging words. I don’t think they know how much that meant to me. They didn’t know that less than an hour earlier, I had slid down the shower wall and bawled my eyes out as the reality of the disaster sunk in, and the enormity of the recovery was becoming obvious. During the course of the Rotary meeting, many offers of help were made by fellow club members, who through their business or contacts helped our business to get new premises, office furniture and a photocopier. A Rotarian, who was a psychologist, worked with our management team to help us come to terms with what had happened. Many of the Rotarians were customers and offered their assistance, like doing their own laundry until we got back on our feet. The local insurance assessor was also a club member. We got to know each other very well over the next two years. I received flowers, food and many offers to help care for my young family. I experienced what it’s like to be part of the Rotary family. As someone more used to caring and helping others, I will never forget the kindness, caring and practical assistance from the members of my Rotary club.